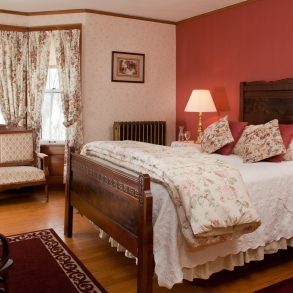 Guests enjoy the serenity of this pretty room during vacations & weekend getaways at The White Oak Inn, our Amish Country B&B in Ohio. 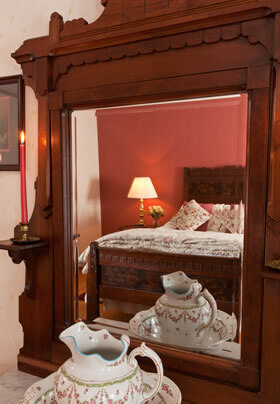 Decorated in ivory and rose with Victorian furniture, this is one of the most requested rooms in the inn. 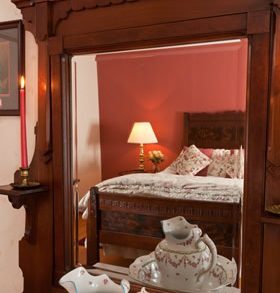 It features a bay window with Victorian loveseat, dresser with marble top, and Amish-made king-size bed. 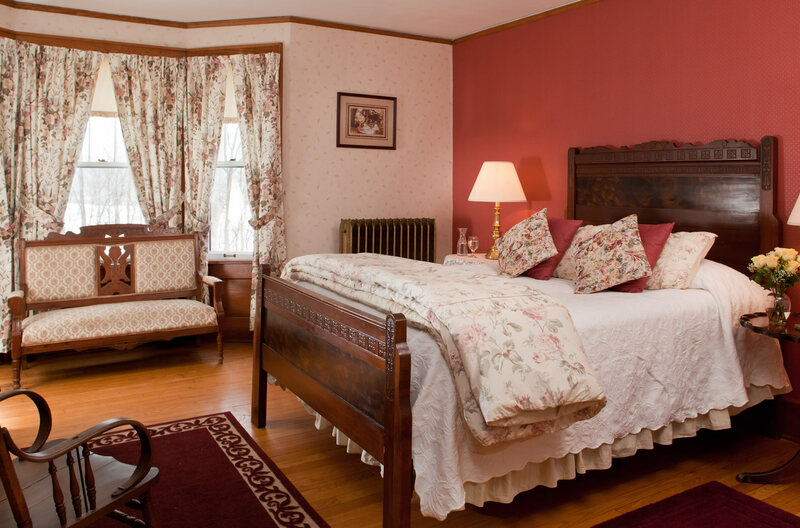 Located on the second floor of the inn, facing the road, this room offers a view of the river valley. 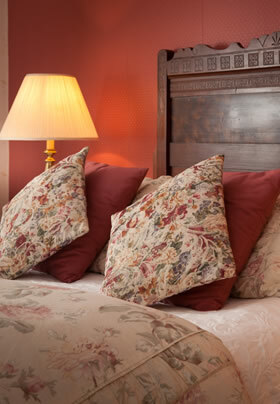 *Rates based on double occupancy. 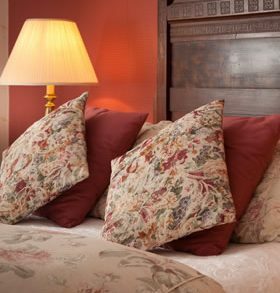 The third guest in the room is $35 a night for bed & breakfast rate or $105 for the two-night package. All guests must be a minimum age of 12.